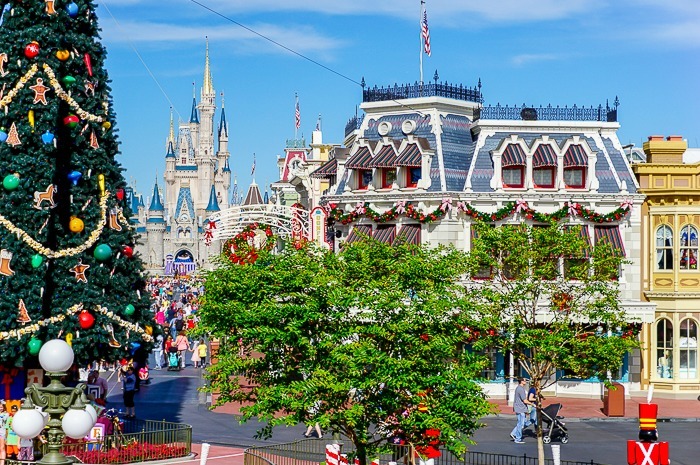 You are here: Home / NERDY / Disney & Friends / Why Everyone Should Experience Disney World at Christmas Time! 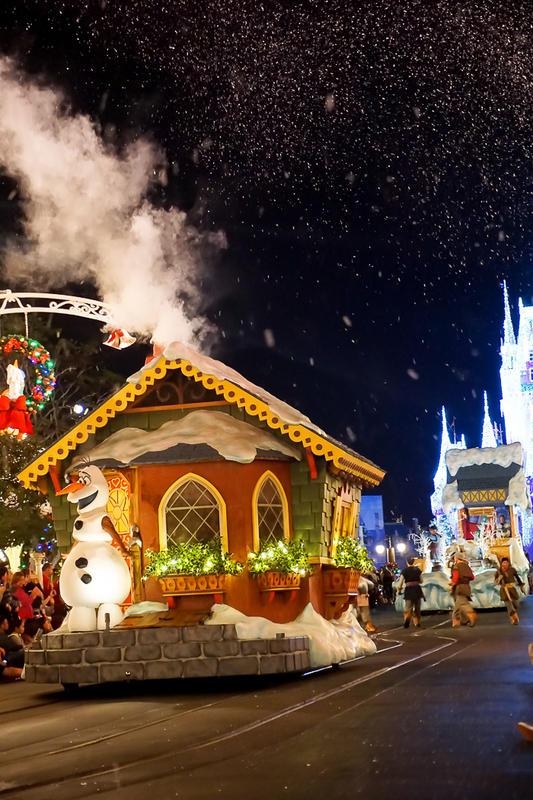 If you are a Disney Fan, experiencing the magic of Disney World at Christmas should definitely be on your travel list! I have posted quite a few Disney themed posts here on The Love Nerds because I am a big Disney fan! This is a love that goes back as long as I can remember and that I am super excited to get to share with Liam and any other children we might have. From watching both the animated and live movies repeatedly, to collecting Disney statues growing up, to coloring in Disney coloring books, and, of course, traveling to Disney World, I am all in. I’ve been meaning to post about traveling to Disney World for awhile now, but I haven’t gotten around to it until now. I have been very fortunate that in the last 3 years, I have gone to Disney World 3 times. If everything goes smoothly with baby Liam, I will be making it a 4th time in December and taking Liam for his first trip. Many people have told me I am nuts for even considering taking Liam to Disney World being only two months old at that point. (If you are in that camp, no need to leave judgmental comments. The decision will be made with his doctor.) However, I love Disney World at Christmas time so much that I want to squeeze in one more trip this year before my season pass expires. Plus, it’s a great excuse to meet up with my sister who lives in Florida. After going in early December last year, I truly believe that everyone should experience Disney World at Christmas time at least once. Why? Because it is magical. 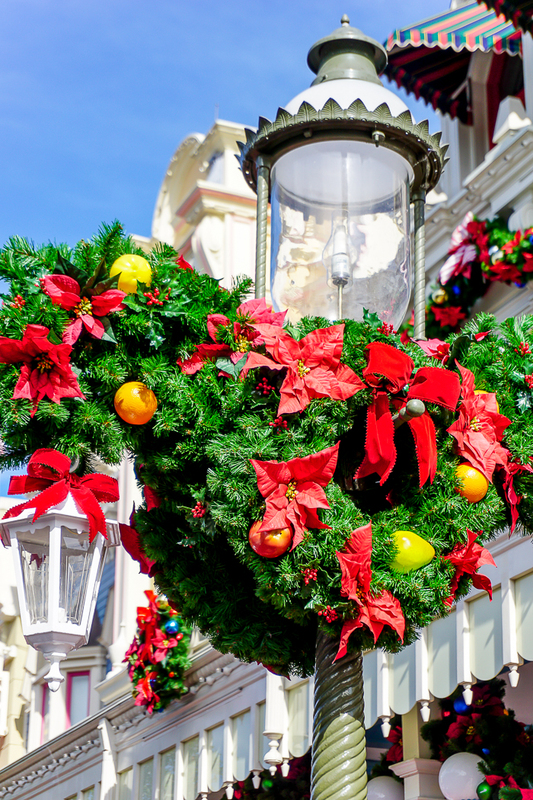 It might seem like too cliché of an answer, but there is just something so special about seeing the parks decorated for the holidays and something downright magical about watching a parade on Main Street while it SNOWS. 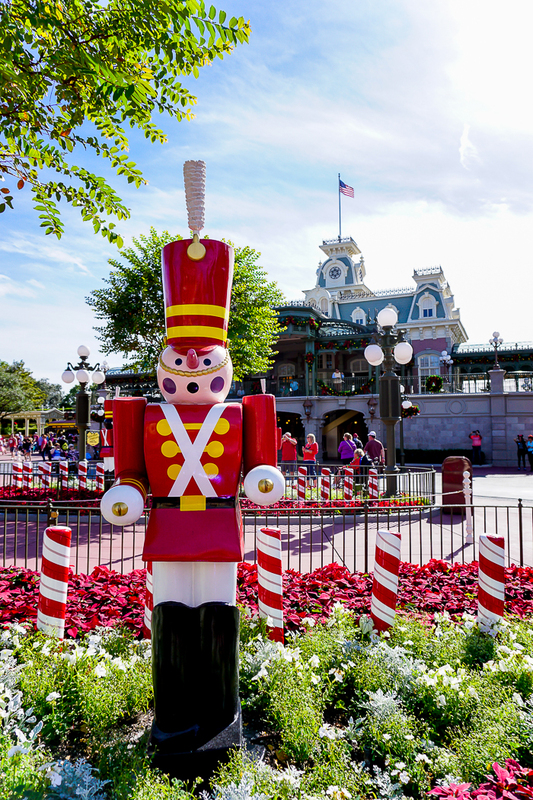 I will be sharing more posts soon about visiting Disney World, but for the moment I am sharing my favorite experiences about going during the holidays and why I can’t wait to go back! 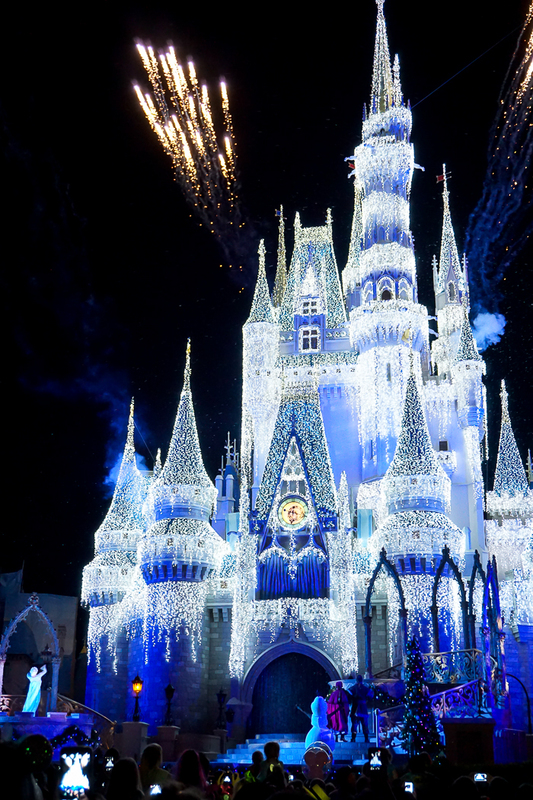 Cinderella’s Castle is gorgeously lit up for the holiday season (usually between early November and early January). It looks like glittering icicles are hanging all over the tree. 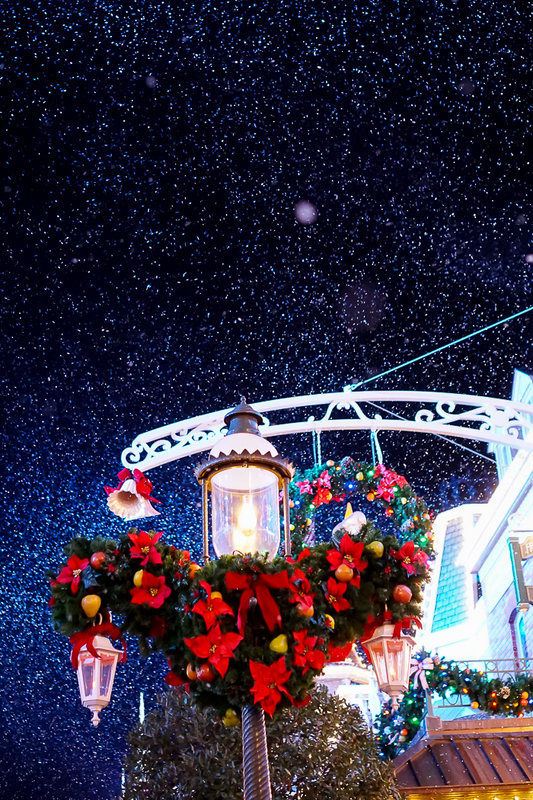 Starting last year, they introduced a new mini show for the lighting of the castle called “A Frozen Holiday Wish”. 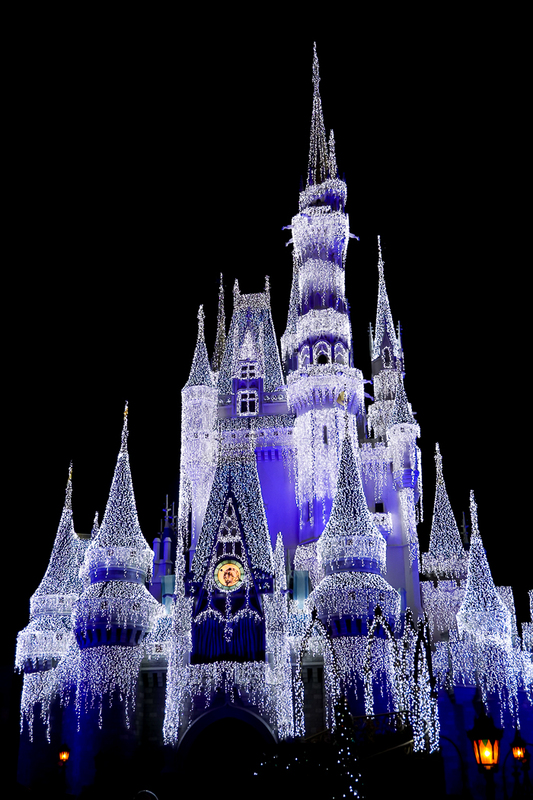 During the short show, Elsa uses her powers to transform the castle in a ice palace, illuminated in 200,000 glistening white lights. People seemed to camp out for the show last year, and I expect that will happen again as Frozen Fever has definitely not subsided. I want to emphasize though that this is a short show and definitely not worth waiting an hour for. We went in early to mid December last year, which is what we plan on doing again. As past attendants of Mickey’s Very Spooky Halloween Party, we immediately knew we wanted to get tickets for Mickey’s Very Merry Christmas Party. This is an additional cost, but if it fits into your budget, I highly recommend attending. It was definitely the highlight of the trip for us. Logistically, tickets to the party are limited and can sell out quickly, so you will want to purchase early. The benefit is that lines for rides are usually shorter during the party since a limited number of tickets are sold and you get to stay in the park later. 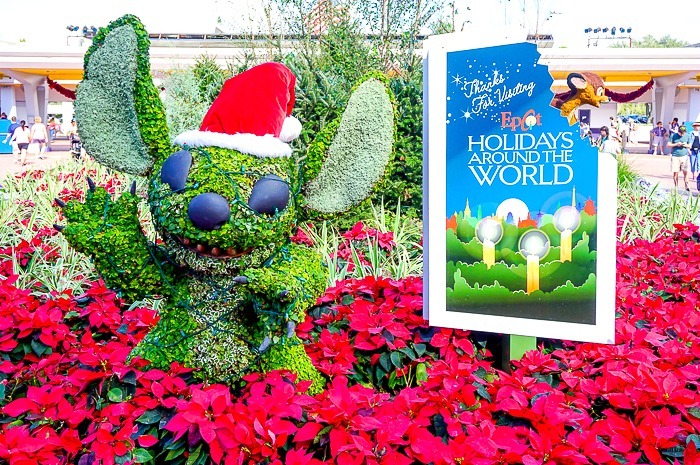 A Totally Tomorrowland Christmas stage show featuring Stitch and friends. 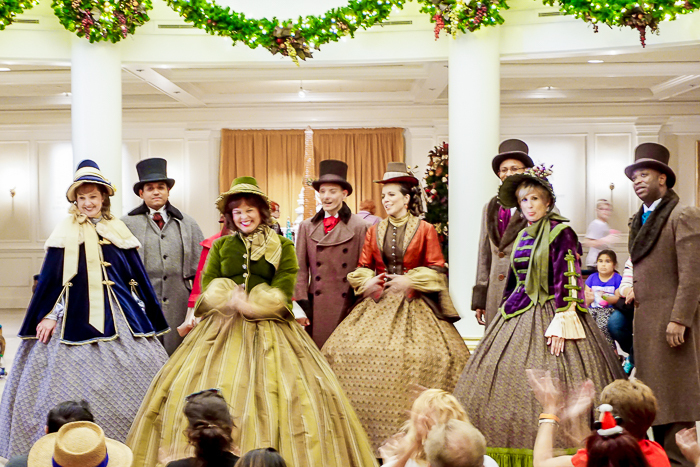 Celebrate the Season stage show featuring the Fab Five and friends in their holiday finery. Complimentary cookies, apple slices, and hot cocoa. The Candlelight Processional is the retelling of the Christmas story by a celebrity narrator with the help of a huge choir and 50 piece live orchestra. Last year we were there for Meredith Vieira. The show runs nightly from Thanksgiving to New Years. I think partially how much you enjoy this experience will depend on whether you enjoy the traditional Christmas story or whether you enjoy the traditional Christmas music. 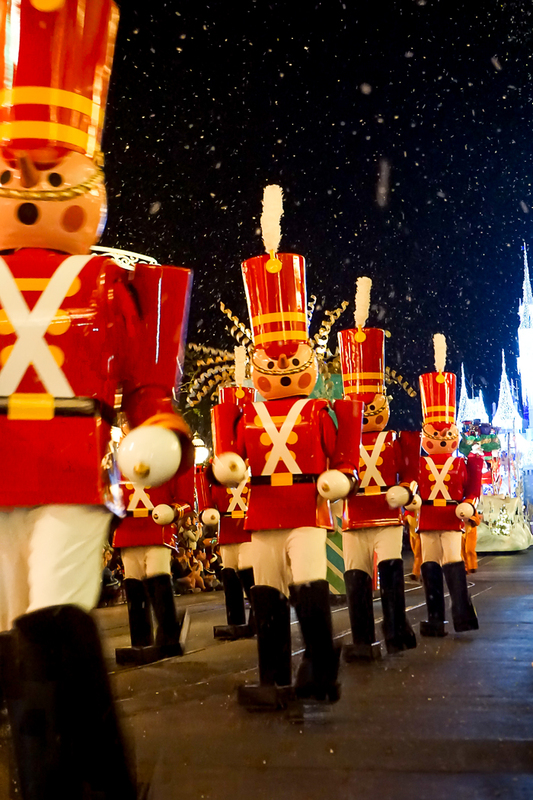 For me, the music is totally worth it and makes for a really special holiday tradition. 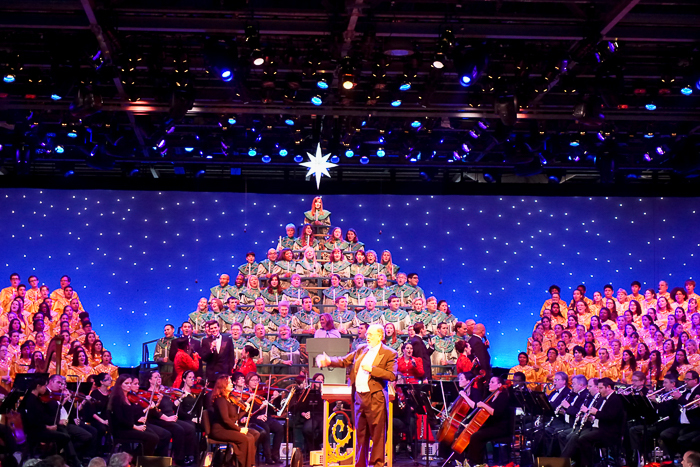 My recommendation is to book a dinner package for the Candlelight Processional. For one, you have the chance to eat a really amazing meal at a table service restaurant. More importantly, it will reserve you a spot to sit at the processional instead of standing in line for hours hoping you will get a seat. We did not know about this experience prior to being in the park that day and happened to stumble upon it on accident. It is definitely something I will be actively searching out this year. 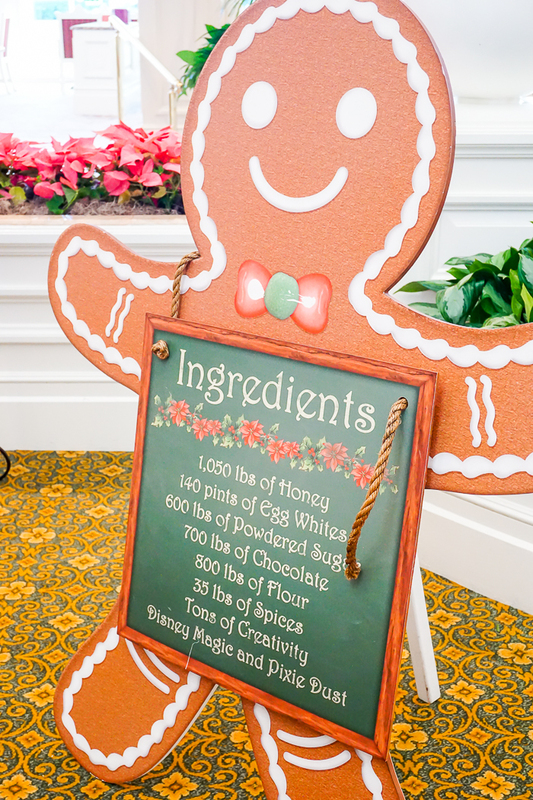 We had ducked into the main building at America on the World Showcase to see the display of the Capital Building made out of gingerbread. When we went in, we saw a sign that the choir would be preforming at a set time that happened to only be 15 minutes later and that they would be dressed in full Dickens period costume. I was so excited! They sing in the middle of the rotunda so the acoustics is absolutely gorgeous. I recommend grabbing a seat on the floor in that rotunda area and getting comfortable if you can. Then, enjoy! This was another experience that we stumbled upon last year. 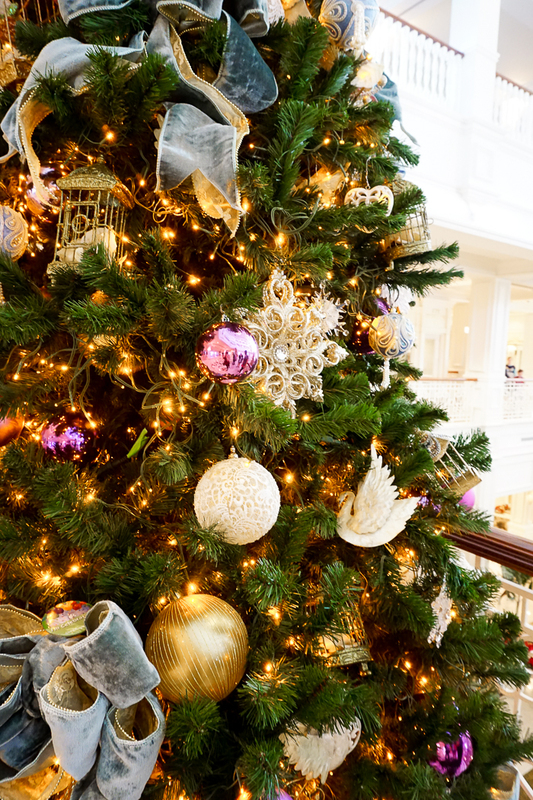 Throughout the World Showcase, you can find Holiday Storytellers. 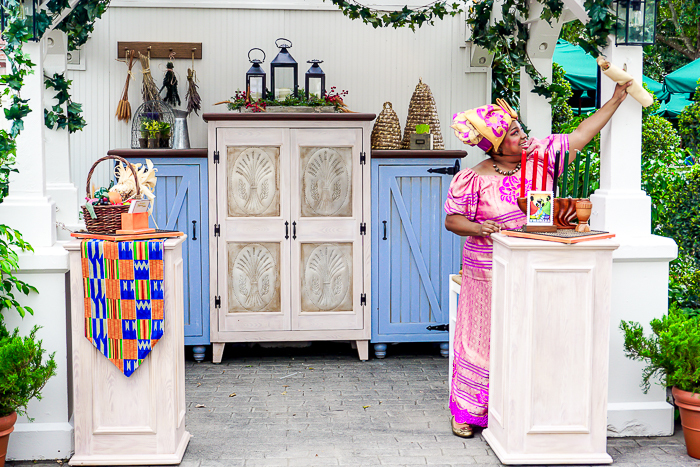 Often times, these storytellers are that country’s version of Santa Claus but you can also find representatives in countries explaining other celebrations like Chinese New Year and Kwanza. You might not want to stand around and listen to their whole story, but you can definitely pick up some interesting tidbits. Plus, I find seeing the different interpretations of Santa fascinating. I have since been given the recommendation to start in Mexico and work your way around as the stories on that side of the showcase might be more engaging. 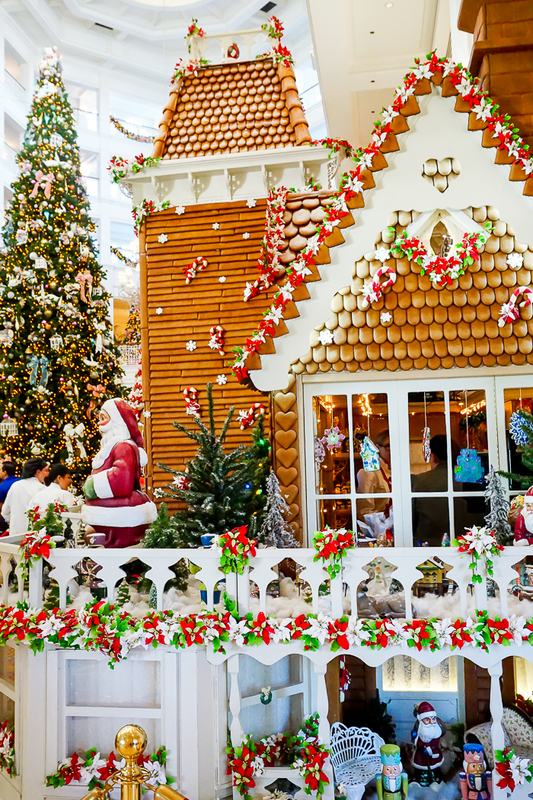 While almost every hotel will have some sort of holiday decorations out during the holiday season, some hotels go all out and should definitely make it on the itinerary at least once. I suggest visiting the Contemporary, Grand Floridian, Wilderness, Animal Kingdom Lodge, Dolphin, Swan, and Beach Club Resort. 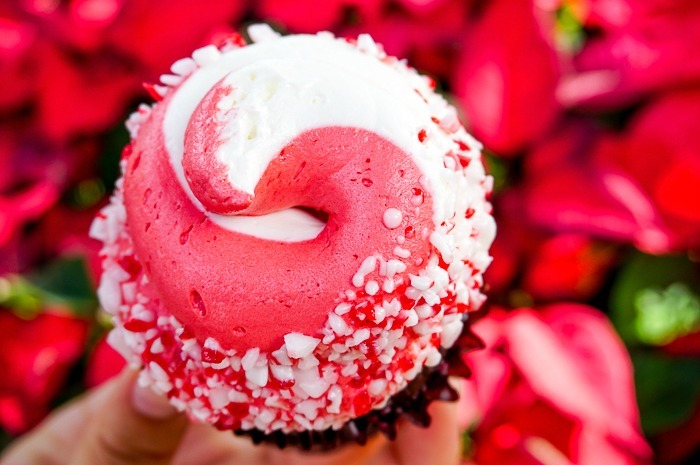 If you have been to Disney World at Christmas Time, did I miss something that you love? Or what questions might you have that I can try to answer for you? I love how similarly minded we are Teresa when it comes to Disney World!! We had a great time last month, and you’re right, the Baby Centers are amazing!